This is THE BEST BEEF STEW I HAVE EVER HAD!!!! 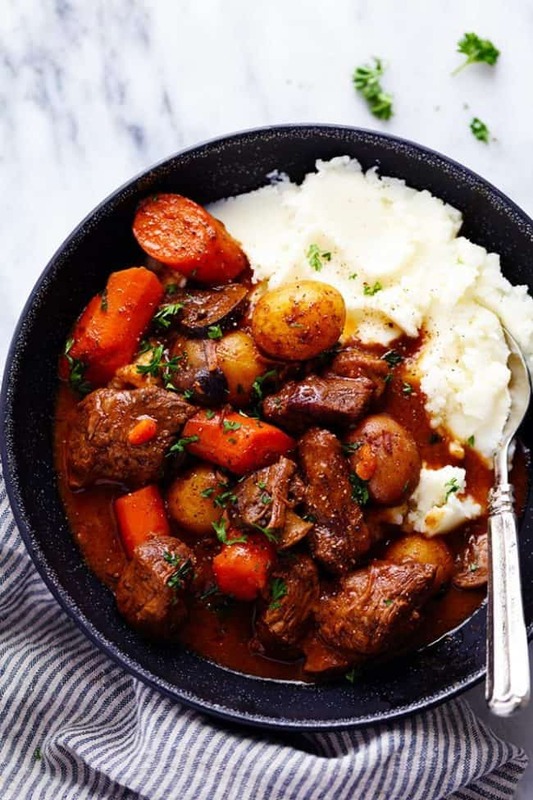 If you guys are looking for a comforting, hearty and blow you away with flavor beef stew this is your recipe. Ok I am getting a little ahead of myself because I am so excited about this beef stew. Who gets excited about a beef stew? Apparently this girl. 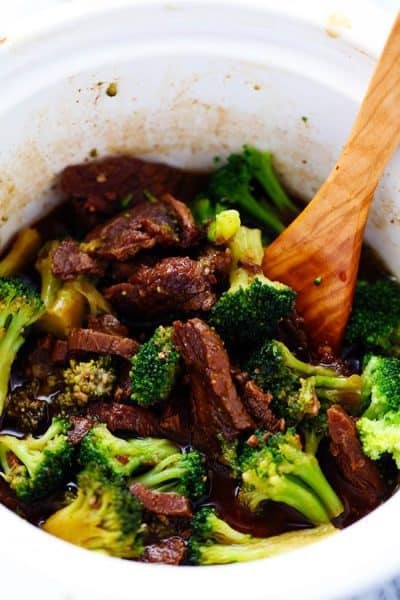 This has the most crazy tender beef inside with hearty vegetables and it has the absolutely best rich and delicious sauce! 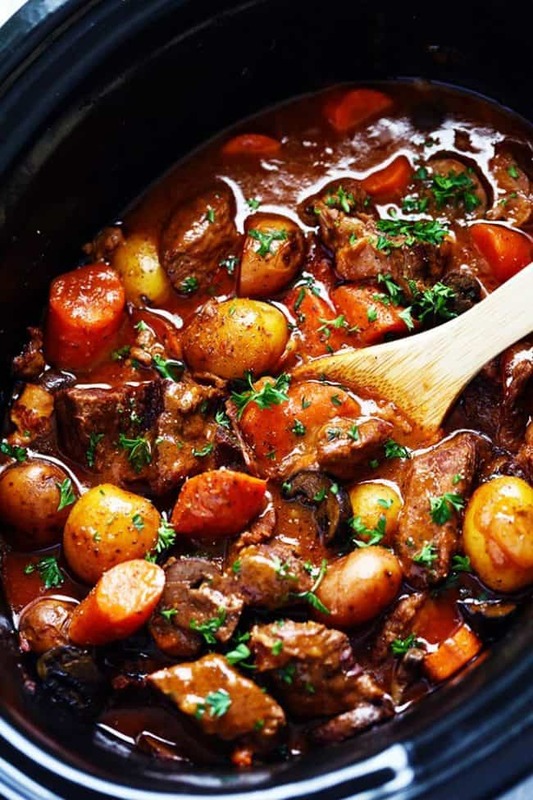 I am a total beef stew lover especially when it cools down. It took me a couple of recipes to get it right. ✔️ Big hearty pieces of vegetables, preferably carrots, potatoes, and mushrooms. 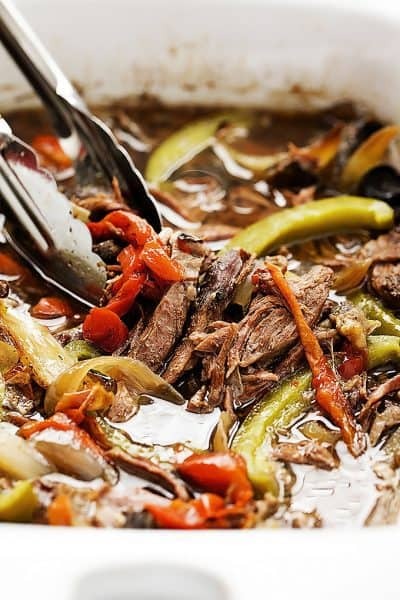 This stew had all of that and more and my family couldn’t get enough of it! This stew starts off with cooking some bacon. But THEN you pan sear the meat in the bacon drippings. Pan searing is just that extra step to make the edges crisp and the inside tender. Plus it just seals in the flavor! 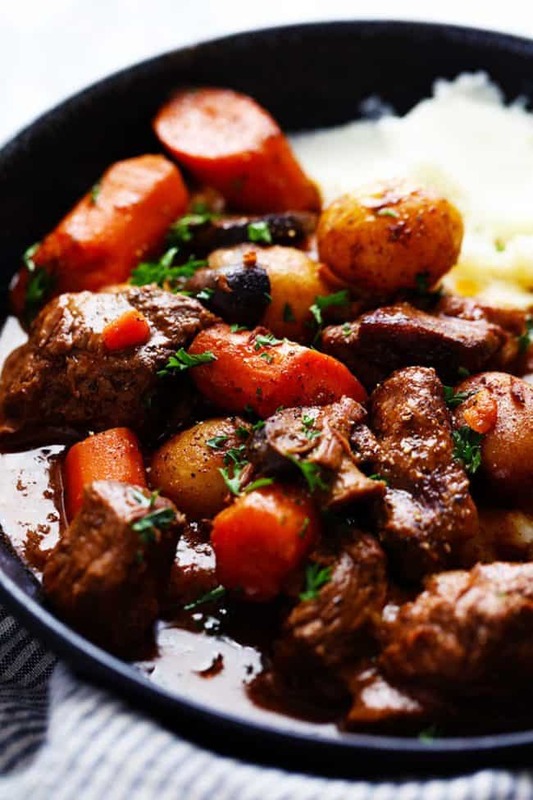 Most good beef stews do have red wine in them. This really brings out the deep and rich flavor in the sauce. But rest assured the alcohol does get cooked out. But I promise it is necessary in really bringing out this amazing flavor in the stew! There are a few extra steps involved in making this stew but I promise it is worth it. Once you cook the bacon and pan sear the meat, you throw it all into the crockpot and let it do its thing. This meal is truly the best flavored stew that I have ever had. 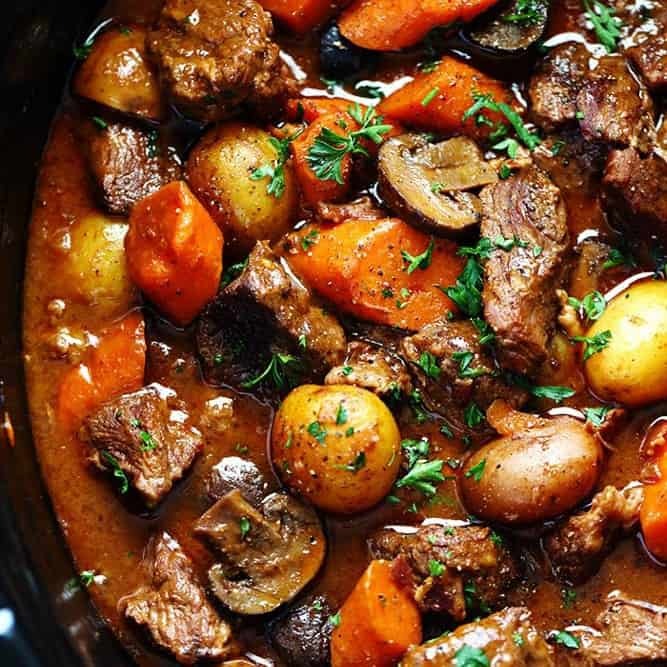 I know that your family will love slow cooker beef bourguignon just as much as we did! Make sure to enter in our $550 Holiday Cash Giveaway! 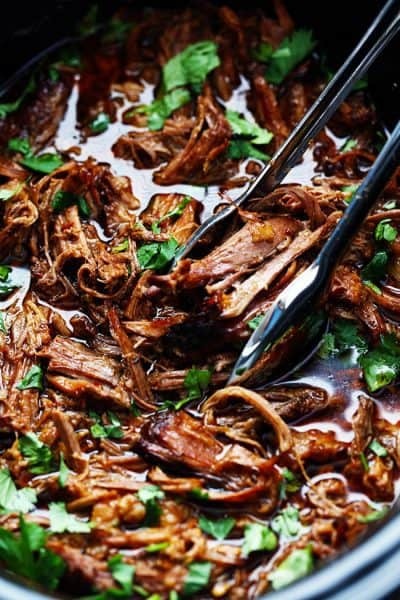 More delicious slow cooker beef recipes to try! Yes, absolutely! 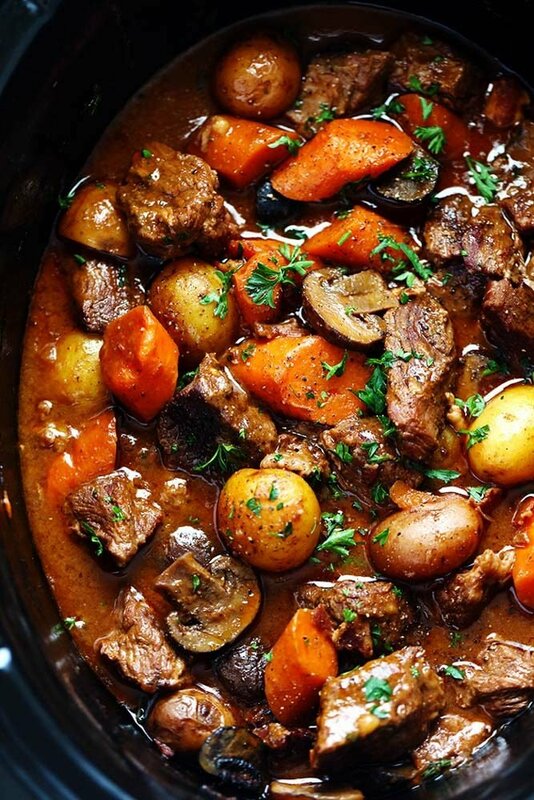 Here is the recipe: https://therecipecritic.com/beef-bourguignon/. Enjoy! Leave it and cook the meet with that. If making in the instant pot, what would the settings be? 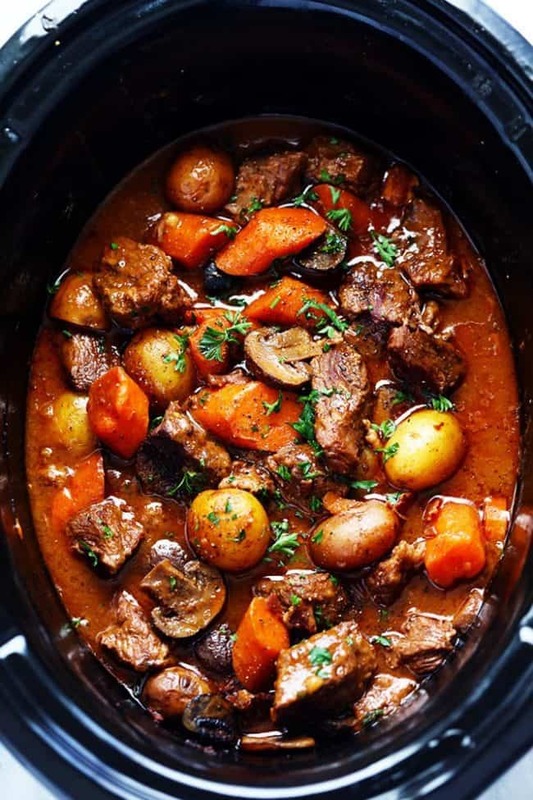 The best slow cooker Beek stew recipe! I’m very picky with food but I can assure that this recipe is delicious! I have been trying this for many occasions and I always get an amazing compliment. YAY! That is a winner! Thank you for sharing! Does the grease for the bacon ever get thrown out or is it kept and included in the sauce? Yes, I drain and throw out the bacon grease. Hope that helps you when you are cooking. Thanks for following along with me! Making this today. Will the potatoes be falling apart by the time it’s done? Should they maybe be added later instead? The potatoes will not fall apart. It will be great! Enjoy your soup!